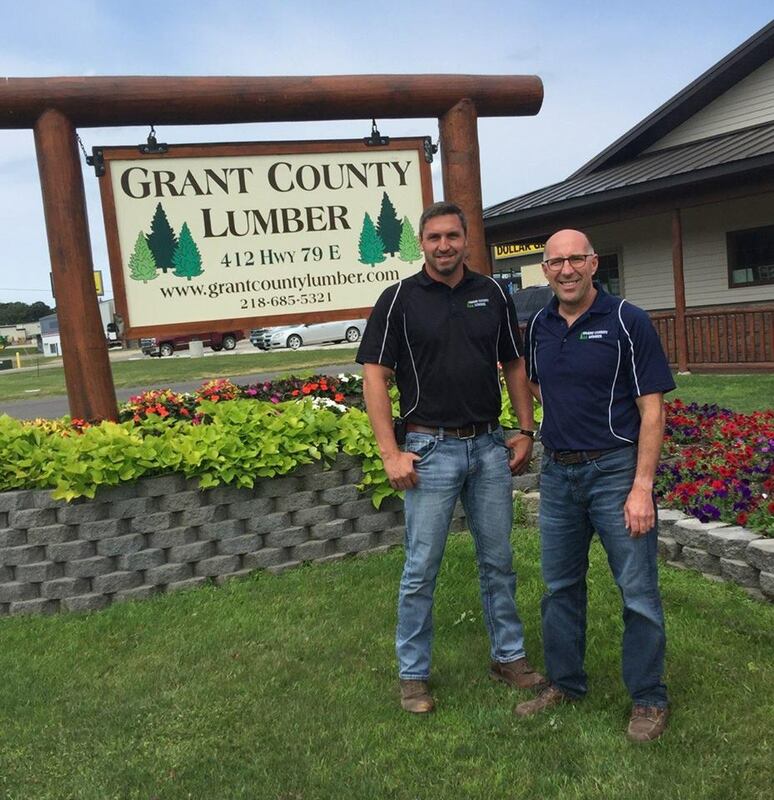 Grant County Lumber is located in Elbow Lake, MN – a unique spot nestled between the prairie and the lake areas. This diverse area has a large farming background – as well as many lake homes and cabins. Grant County Lumber has the right product for any project. Dan Denardo has been with Grant County Lumber since 1990 – starting out as manager. Previously, Dan worked in the Twin Cities area in the building construction industry – learning all the tricks of the trade. Jason Lindquist started in 2003 as an estimator/salesman. Jason also worked in the industry for a local contractor for 5 years before coming onboard at Grant County Lumber. Their knowledge and experience from working in the industry beforehand is invaluable – and it shows! Dan and Jason are in the yard each and every day. Dan and Jason purchased Grant County Lumber in January of 2014 from previous owner Gene Wenstrom. They have been growing and improving the business ever since.